John Allison IV speaks to Business School in coordination the Beasley Institute at Belmont University in Nashville, Tennessee, January 30, 2019. 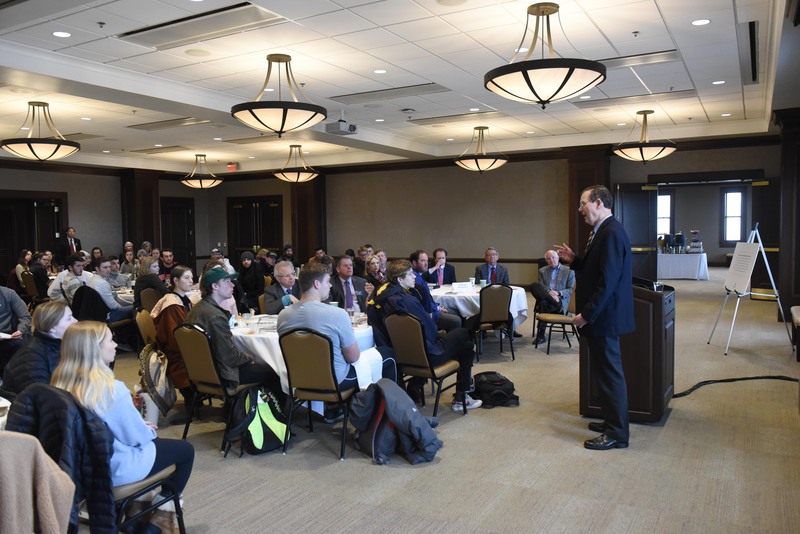 The Thomas W. Beasley Institute for Free Enterprise,a newly created institute at Belmont University, hosted John Allison as its first featured speaker earlier this week. Allison is an Executive in Residence at the Wake Forest School of Business and a member of the Cato Institute’s Board of Directors and Chairman of the Executive Advisory Council of the Cato Institute’s Center for Monetary and Financial Alternatives. He was president and CEO of the Cato Institute for three years and served as chairman and CEO of BB&T Corporation, the 10th-largest financial services holding company headquartered in the United States. During his tenure as CEO from 1989 to 2008, BB&T grew from $4.5 billion to $152 billion in assets. He was recognized by the Harvard Business Review as one of the top 100 most successful CEOs in the world over the last decade. Belmont’s Beasley Institute for Free Enterprise is a learning center committed to exploring and providing education and programming about the impact of free enterprise in American society. The Institute communicates the relationships between free enterprise, growth and economic prosperity, fosters the ideals of ethical and moral behavior in a system of free enterprise and highlights the roles therein of rule of law, democratic governance and competitive markets.